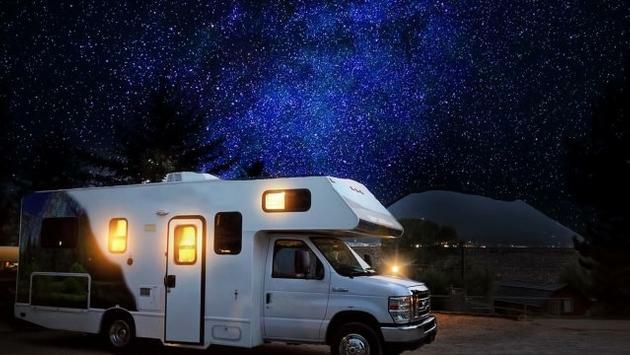 Many people love RV travel because of the freedom it inspires. You can pack up and head out wherever you want. You can drive longer than you planned, stay somewhere new or drive all night. You aren’t bound to hotel reservations or other travel plans. You can go where the road takes you, or heck, you can go absolutely nowhere. Unfortunately, RV travel isn’t cheap. A new RV can easily cost $50,000-$100,000 or more. Renting an RV lets you escape the long-term costs of ownership, but it’s not inexpensive, either. For example, a five-night stay in a $99 per night rental could cost around $800 if you drove 600 miles and paid a mileage rate. If you want to purchase an RV, do yourself a favor and buy a lightly used model. 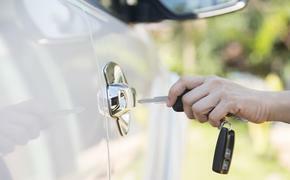 RVs are similar to cars in the fact they depreciate at rapid speed. While a new RV can cost $100,000, a used model with a few years of use can easily cost tens of thousands of dollars less. You can also just rent an RV from a campground or a website like GoRVing.com. Or, consider renting from an individual through RVShare—the world’s first peer-to-peer RV rental website. If you choose to rent an RV, bringing your own stuff along can help you save. Most RV rental places charge extra for bedding and cookware, so you can avoid the added costs by packing your own. While driving an RV gives you the freedom to stop almost anywhere, you can save money by carefully selecting affordable camping spots ahead of time. Camping resorts with lots of amenities can be a lot of fun, but you’ll pay for all the “extras.” High-end spots with lots of amenities can cost nearly as much as a hotel room ($69 - $100+ per night). Yet, a state park might cost as little as $10 or $12 per night for full hook-ups. Whether you’re buying or renting an RV, you’ll pay more—and sometimes a lot more—the larger you go. Keep in mind, however, that RVs aren’t necessarily supposed to be roomy; they’re supposed to be efficient! By choosing an RV with the exact amount of sleeping space you need, you’ll save on rental costs and even gas. Use the Gas Buddy App to get the best prices on petrol in the area. When you’re filling up an RV tank, even a small price difference can be a huge deal. Checking the tire pressure on an RV is essential since sluggish tires can lead to excess consumption of fuel. Bring your own tire pressure gauge along so you’re never left guessing if you need air. If you plan to traverse the U.S. to see all the national parks and federal lands you can, buying a National Parks pass can be a stellar deal. These cost $80 for the year. However, they are free for members of the U.S. military.